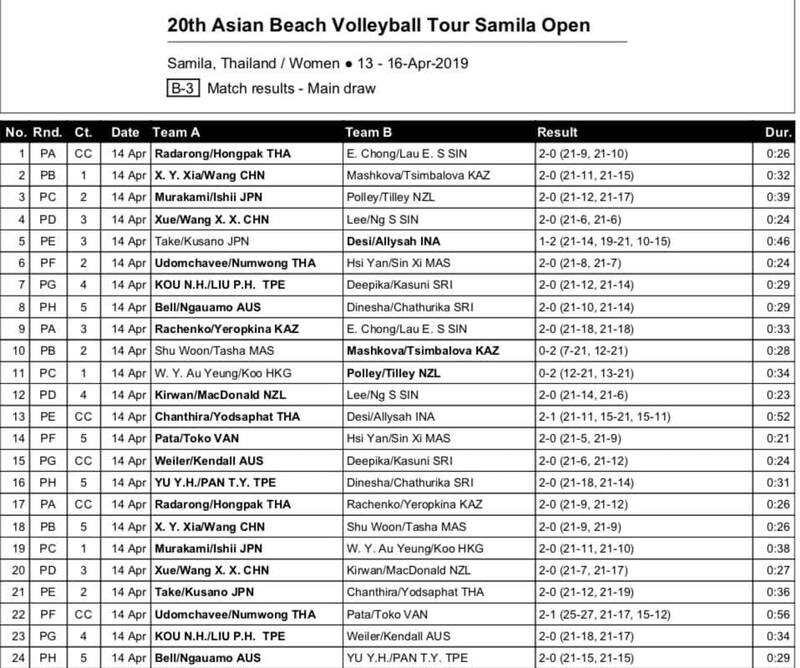 Songkhla,Thailand, April 14, 2019 – Despite the scorching heat on the main draw Day 1 of the SMM AVC Beach Volleyball Tour “20th Samila Open” at the Samila Beach here on Sunday, strong teams flexed muscles for two straight wins in their respective pools to advance to the round of 16. 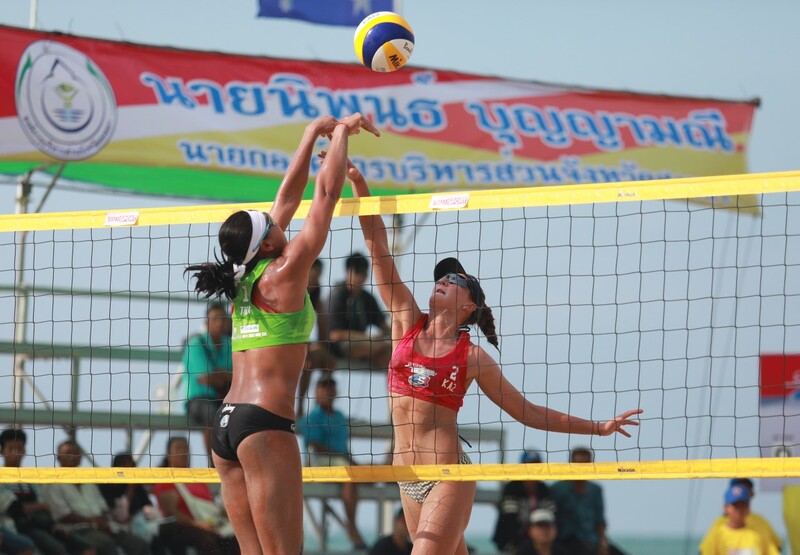 The action-packed main draw was held on a day when the daytime temperature in Songkhla had reached 34 degrees Celsius, forcing most players and spectators at the competition venue to wear hats and sunglasses on opening day of the double-gender, four-day competition. However, the energy-sapping heat failed to dampen the strong teams’ enthusiasm and determination to come up with their superb form. 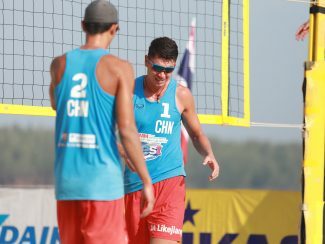 Only top two teams from each pool in both men’s and women’s events made it to round of the last 16, while teams finishing third crashed out of the topflight competition. 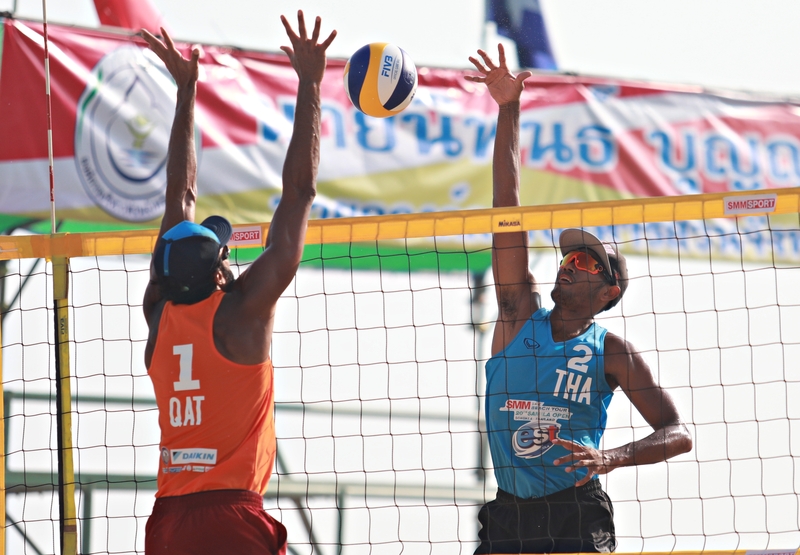 In the men’s division, local hopefuls Surin Jongklang and Sedtawat Padsawud captured the top spot in Pool A as expected when the top seeds got off to a flying start to beat Qatar’s Abdelrasoul Tamer and Mahmoud Assam Ahmed 2-0 (22-20, 21-17) in the first round. 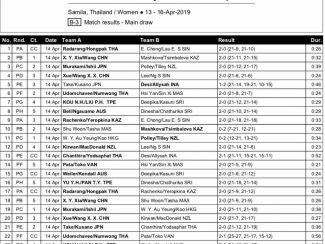 The Thai duo then completed their first day mission with a lop-sided 2-0 (21-10, 21-11) win against New Zealand’s Thomas Hartles and Alani Nicklin in their second match which lasted only 29 minutes in the pool play. 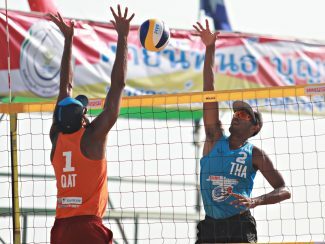 “I am quite satisfied with our performance in the first two matches,” said Sedtawat. “We could control ourselves to play according to our own game, so I am quite happy what we have been doing so far. “Conditions of the competition venue here are quite difficult for us to play. It is quite windy here. Nonetheless, every team has faced the same situation. We are looking forward to a tougher match in the next round and I hope we will win again,” he added. Reigning champions and second seeds Gao Peng and Li Yang from China also made a solid start in pool round-robin preliminaries when they successfully cleared the first hurdle with a 2-0 (21-10 21-6) rout of Singapore’s Tan Trevis and Benjamin Choo Wei Jie. The Chinese duo then recorded their second win after thrashing Chinese Taipei’s Wang Chin-Ju and Hsieh Ya-Jen 2-0 (21-14, 21-17) in just 29 minutes to top Pool B. 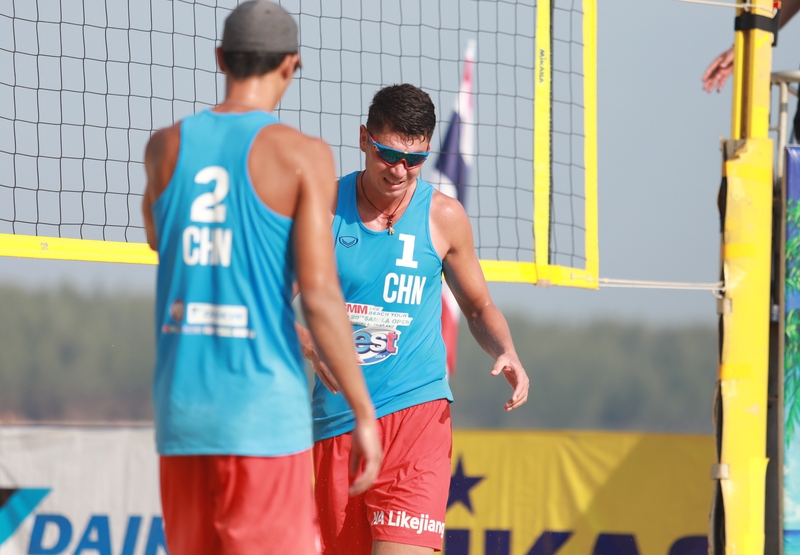 China 2’s Wu Jiaxin and Ha Likejiang made their mark on the opening-day campaign when they made it two in a row. 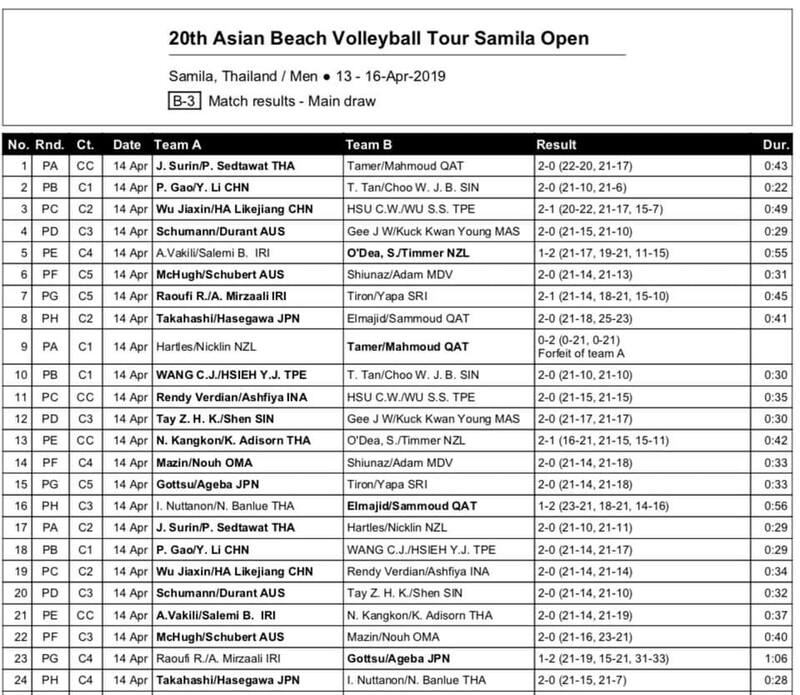 They first pulled off a terrific comeback 2-1 (20-22 21-17 15-7) win over Chinese Taipei’s Hsu Chen-Wei and Wu Shin-Shian and maintained their unbeaten streak to thrash Indonesia’s Rendy Licado and Mohammad Ashfiya 2-0 (21-14, 21-14) to rule Pool C.
In Pool D, Damien Schumann and Code Durant registered two consecutive wins to secure their place at round of 16. 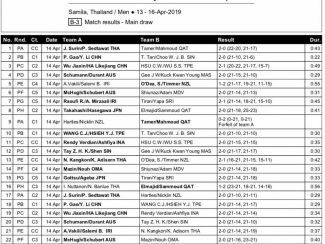 The Australian tandem beat Malaysia’s Jai Wei Gee and Kuck Kwan Young 2-0 (21-15, 21-10) to later breeze past Singapore’s Tay Kingsley and Shen Fan Yang Mark 2-0 (21-14, 21-10). 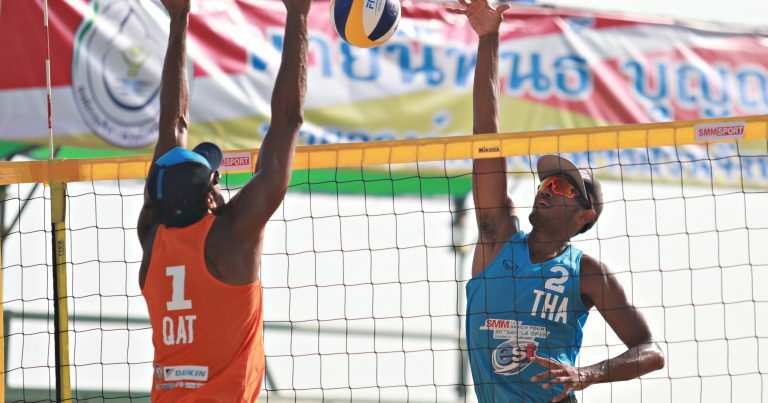 Iranians Rahman Raoufi and Abolhamed Mirzaali, who picked up silver at the FIVB World Tour Satun 1-star a few days ago, struggled to beat Sri Lankans Tiron Jayathilaka Indika and Yapa Sashimal 2-1 (21-14 16-21 15-10) in their first match, but went down to Japan’s Yusuke Ishijima and Ageba Yoya in an exhausting encounter 1-2 (21-19 15-21 31-33). 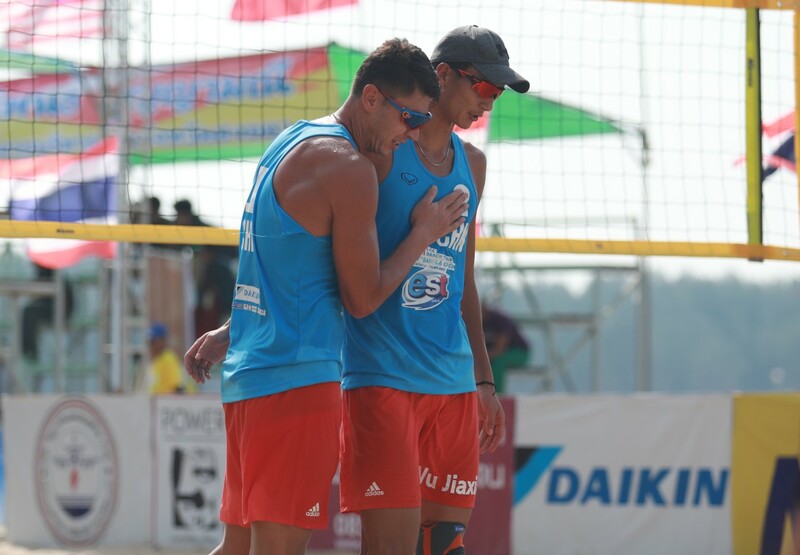 Fortunately, the Iranian duo finished second in Pool G to next enter round of 16, where they are due to take on another Japanese pairing of Takumi Takahashi/Yoshiumi Hasegawa. 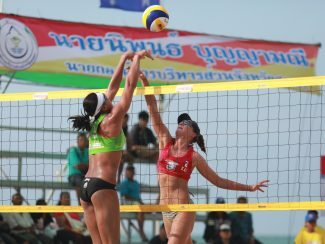 Meanwhile, in the women’s event, Thailand 1’s Varapatsorn Radarong/Khanittha Hongpak made a clean sweep on Day 1. 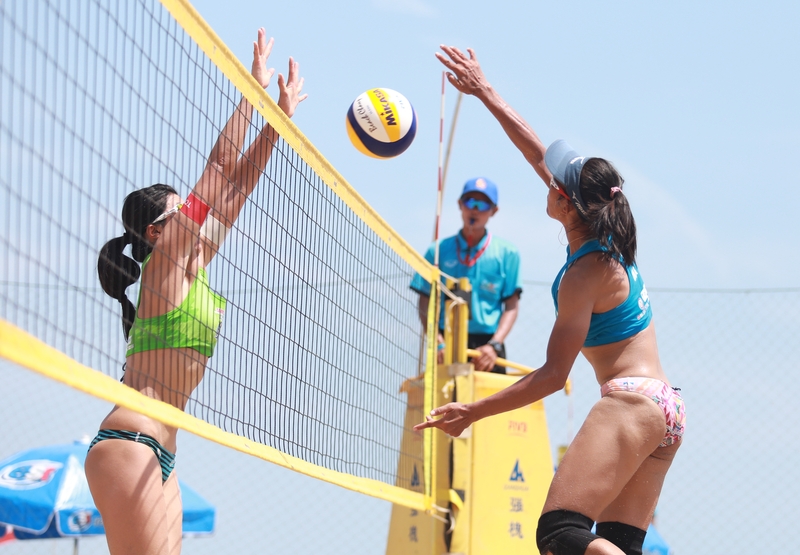 The top seeds first showed no mercy to Chong Eliza and Ee Shan Lau to tame the Singaporeans 2-0 (21-9, 21-10) and later downed Kazakhstan’s Alina Rachenko and Yelizaveta Yeropkina 2-0 (21-9, 21-12) to top Pool A. “In the first match, we tried to adjust ourselves to get accustomed to the court conditions and to learn our opponents game and play in accordance with what we have trained for. So, it is always difficult to play in the first match of the tournament,” said Khanittha. “In the second match, due to strong wind, we had to play with more concentration and stay focused in order to control the ball. I am happy that we finished as the pool winners. We will learn from our today’s mistakes to play better in the next match,” she added. 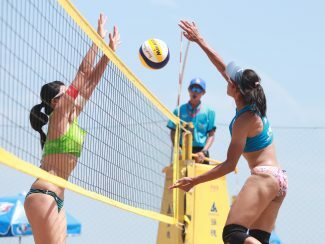 Chinese second seeds Wang Fan and Xia Xinyi, defending champions and the 2018 Asian Games gold medalists, recorded two victories in Pool B to cruise to round of 16. The Chinese duo first brushed off Kazakhstan’s Tatyana Mashkova and Irina Tsimbolova 2-0 (21-11, 21-15) to next outplay Malaysians Joo Shu Woon/Mac Tasha 2-0 (21-9 21-9) in just 26 minutes. Japanese third seeds Megumi Murakami and Miki Ishii, silver medallists at the 2018 Asian Games in Palembang, Indonesia, and fourth seeds Xue Chen and Wang Xinxin from China 2 also progressed to round of the last 16 after registering two victories in their respective Pool C and Pool E respectively. 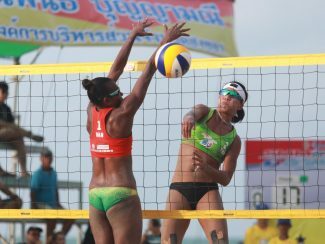 Formidable Pata Miller/Toko Sherysyn, who settled for silver at the FIVB World Tour Satun 1-star, had a mixed fortune on the first day as the Vanuatu duo first downed Malaysians Hsi Yan Tan/Sin Xi Foo 2-0 (21-5 21-9), but were given a serious challenge from Thailand’s Tanarattha Udomchavee/Rumpaipruet Numwong in their second tussle to go down in hard-fought three-set thriller 27-25 17-21 12-15. 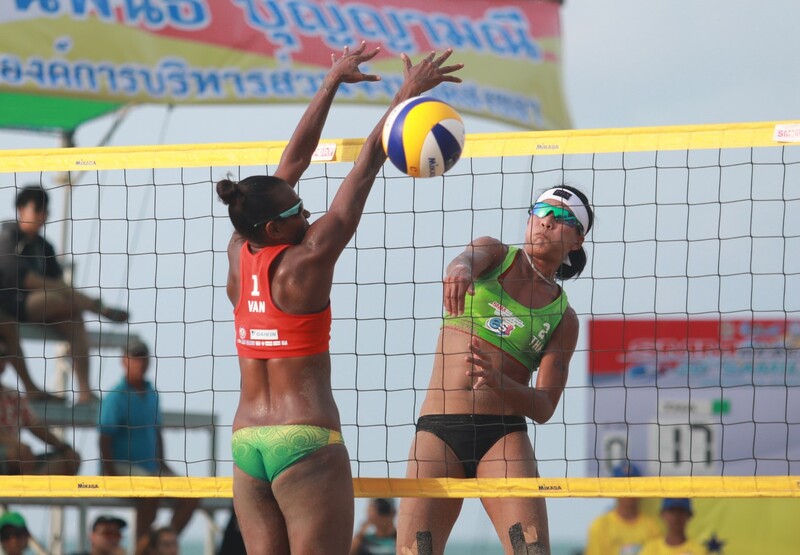 However, Pata and Toko joined the Thai pairing in the round of 16, where they will go up against Australians Phoebe Bell/Jessyka Ngauamo on Monday. Thank you. Please continuously support us. Hello to every one, as I am genuinely eager of reading this web site’s post to be updated daily. Thank you. Please continuously follows us!! !